Trying to sell For Sale By Owner? This ebook will help you do it... Whether you are selling your house in Appleton (Wisconsin) the Fox Cities or where ever you are located! 5 Proven Steps to Selling FAST! 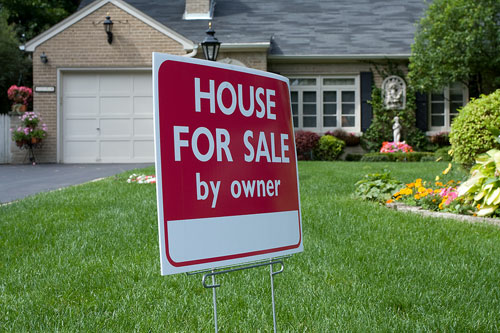 Do you want to sell your home "By Owner", but don't know where to start? Need a little help to do it right? Most who have used this information and done everything in the book have sold their homes in record time - many in a week or two!!! Worth way more than the $97 to have this info all in one spot!!! I contacted Jacci because she was the listing agent on a home we were interested in looking at. When I told her we needed to sell our home in a different market, she sent me her e-book for sellers. My listing agent on my home had told me there was "literally no market" where I was trying to sell my home and that I might be looking at a multi-year wait to sell the property. I read Jacci's e-book and followed her advice as closely as I could and I had an accepted offer on my home in under 2 weeks! We then worked with Jacci as our buyer's agent and she was accessible and flexible to work with, and a strong advocate for us during our purchasing process. We are now happily in our new home! " Jacci Konkle's Real Estate Service is focused on helping people in the community understand and meet their home buying/selling needs. She met with me, a potential client, so she could fully understand my circumstances. She provided me with the information I needed to determine if I wanted to sell my home using a professional Realtor, or sell my home by owner. She helped me understand the pros and cons of each. She did not try to sway me, either way. For my circumstances I decided it was best to sell by owner. I used her e-book which provided guidance on how to prepare so I could sell my home fast, without a professional Realtor. The first two families that came through my home, made me offers above my asking price. I sold my home in one afternoon. It was a fun whirl wind day! I don't think it would of been as successful without Jacci's guidance. She made me feel that she was more concerned with helping people in the community with one of their biggest life decisions, vs making a buck. I would highly recommend her to anyone who is in need of a professional Realtor, or anyone who needs guidance on how to sell their home by owner. Purchase 5 Proven Steps to Selling FAST Today for only $97! Click on Buy Now! If you live in our selling area (Green Bay Or Fox Cities), we are happy to provide this to you at no cost! A $97 VALUE!! !